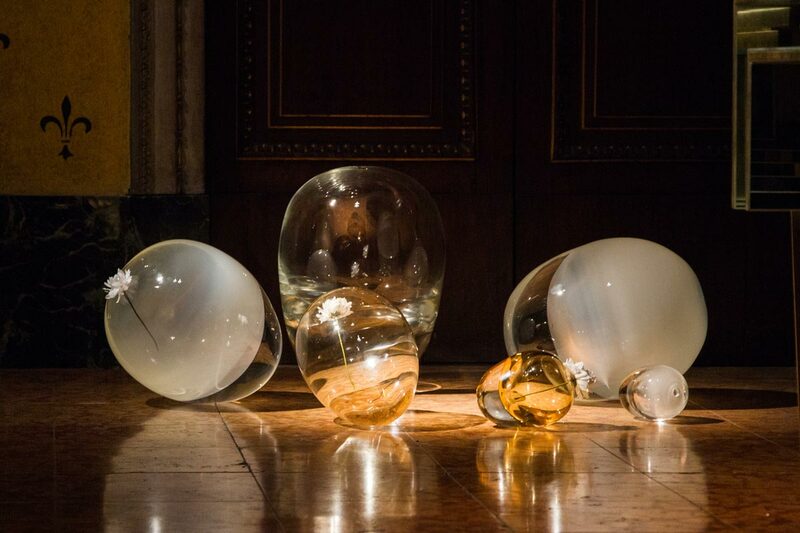 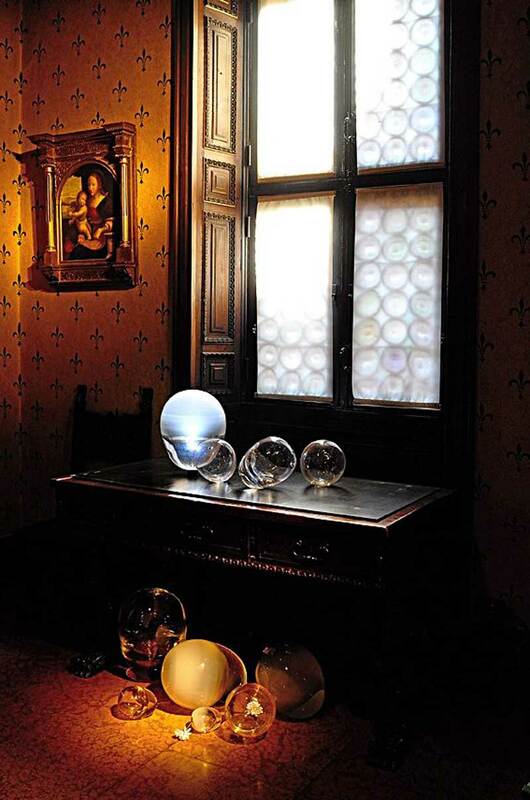 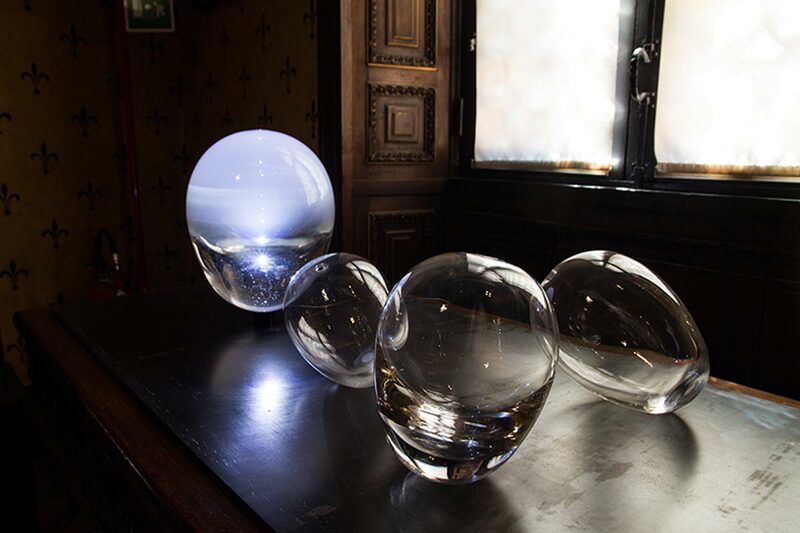 A collection of hand blown glass objects created for the exhibition titled “Untold” curated by Rossana Orlandi. 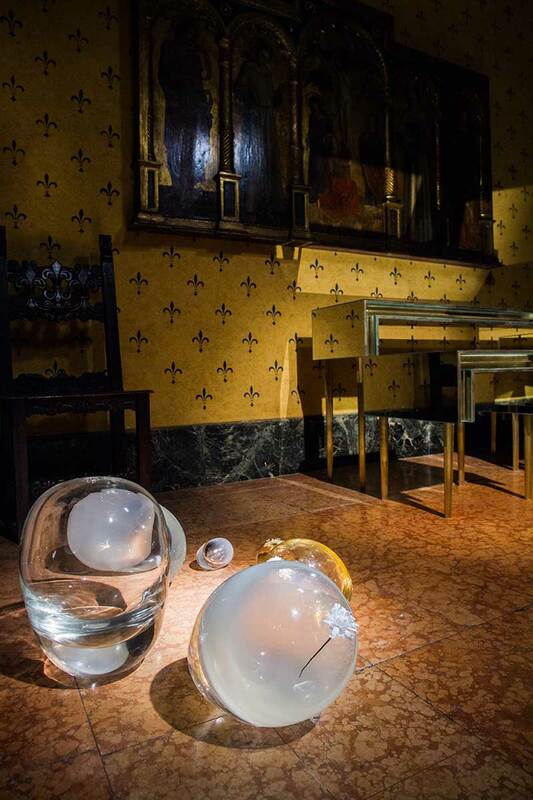 Held during the Milan Salone at Museo Bagatti Valsecchi, the show brings contemporary pieces and the authority of history together. 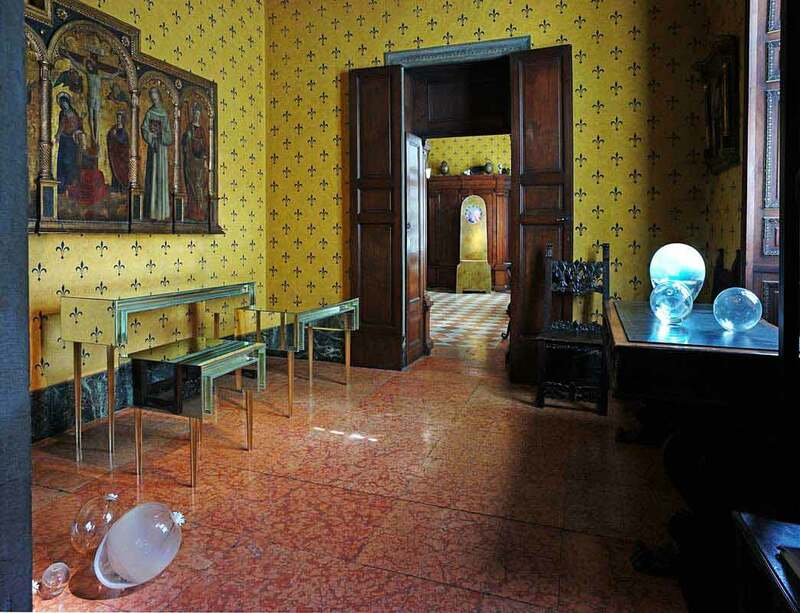 A piece of a designer or a contemporary artist is placed in each room, creating a soft tension with the existing environment. 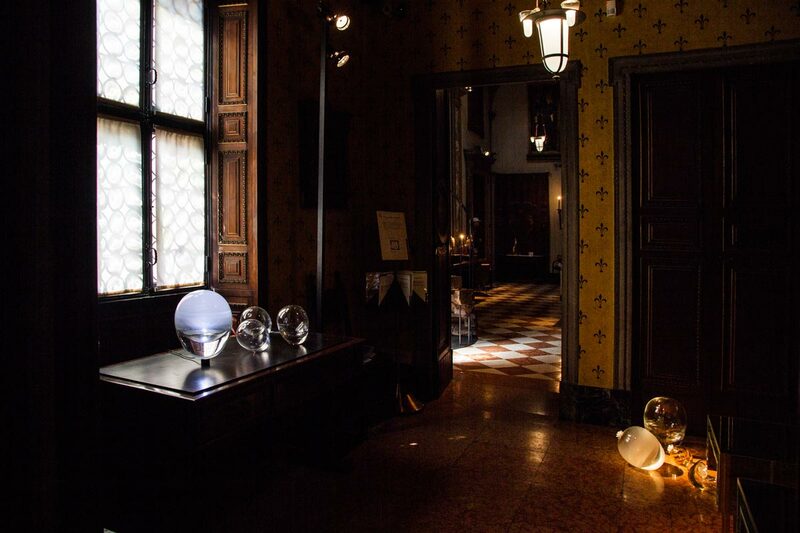 UUfie was commissioned to display DINUOVO meaning “new again” in the room “Labyrinth Passageway.” This room owes its name to the ceiling decoration inspired by the 16th century Labyrinth Room of the Ducal Palace in Mantua.